Let us inform you that on May 10 we will hold technical maintenance works to improve quality of service. In this regard, our website and Personal area will not be available. 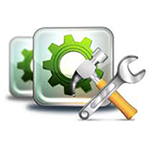 Time of maintenance: 3 – 5 a.m. GMT. We are aimed to create a perfect service convenient to each trader and these works help us to make one more step in this direction. We apologize for possible inconvenience! Your start with “FreshForex” will be successful! Fed Reserve exploded markets – what next?